The fifth restoration undertaken by The Garden Club of Virginia involved a site with associations to several prominent figures from early colonial history: Captain John Smith, Pocahontas, and the Old Dominion's first tobacco entrepreneur, John Rolfe. Smith's Fort Plantation occupied a site on the south side of the James River, in what is now Surry County, near Gray's Creek. There, Smith and a party of settlers had built a fort as a refuge should Jamestown be attacked by Indians or Spanish forces, the two great concerns of his day. Later, the land itself was given by Chief Powhatan to John Rolfe upon Rolfe's marriage to his daughter Pocahontas. The couple's son, Thomas Rolfe, inherited the land, and sometime later in the seventeenth century, another owner, Thomas Warren built a house on the property. 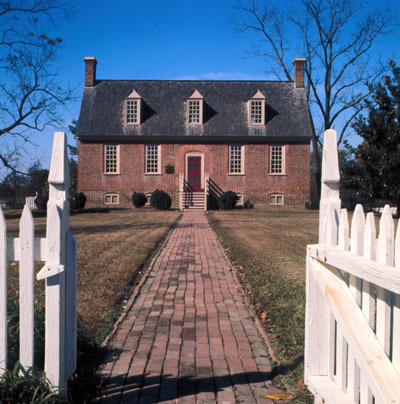 The house that now occupies the site, first called the John Rolfe House but now known as the Rolfe-Warren House, probably dates to the mid-eighteenth century, when it served as the home of the Jacob Faulcon family. The Association for the Preservation of Virginia Antiquities (APVA) acquired the property in 1933 through the generosity of John D. Rockefeller, Jr., and set about restoring the building. 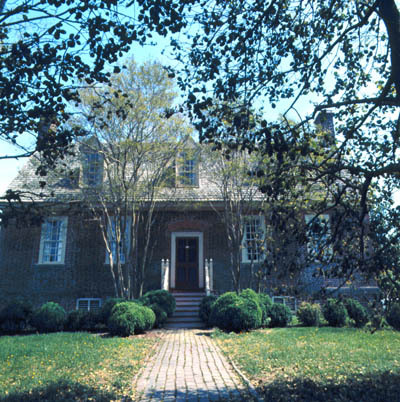 The year following, the APVA approached The Garden Club of Virginia and asked the organization to provide a seventeenth-century landscaping plan for the property. Despite the financial constraints felt during this period of the Great Depression, the Club accepted the challenge. 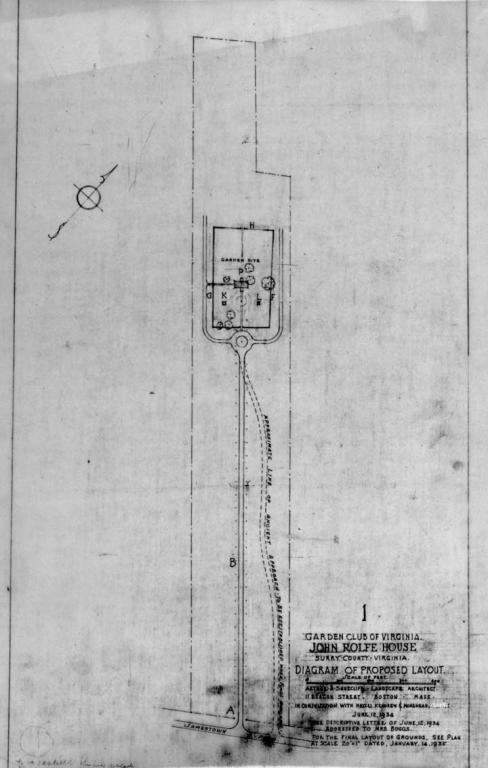 The Garden Clubs landscape architect, Arthur A. Shurcliff undertook this project in 1934, initially supervising archeological excavations of the site, which revealed foundations for numerous buildings (including the fort site) and paths. 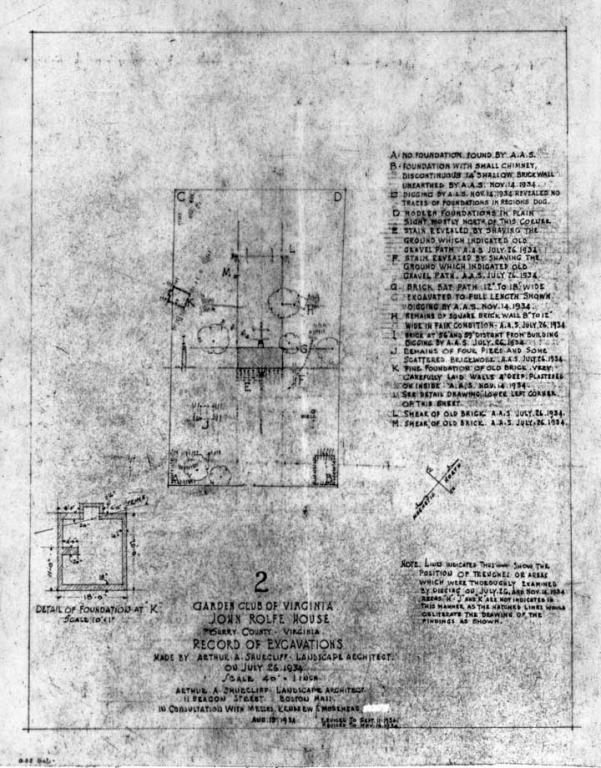 Limited funds meant Shurcliff had to trim his original plans, which had included a design to reconstitute the original drive into the house site from the Jamestown Road. Rail fences defined the property boundaries and a picket fence surrounded the house and rear garden area. 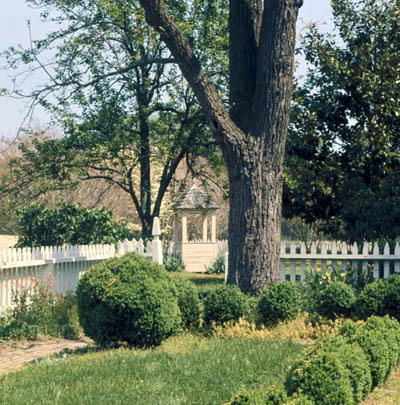 Along with native trees left in place, the architect used evergreen, crape-myrtles, boxwood, and holly at various points, and a Garden Club suggestion about fig trees helped to mark the former location of the kitchen garden and orchard. In 1956, Alden Hopkins, Shurcliff's successor, produced for the Garden Club another study of the site, suggesting new plantings of tulip and red cedar trees, and a resetting of boxwood. 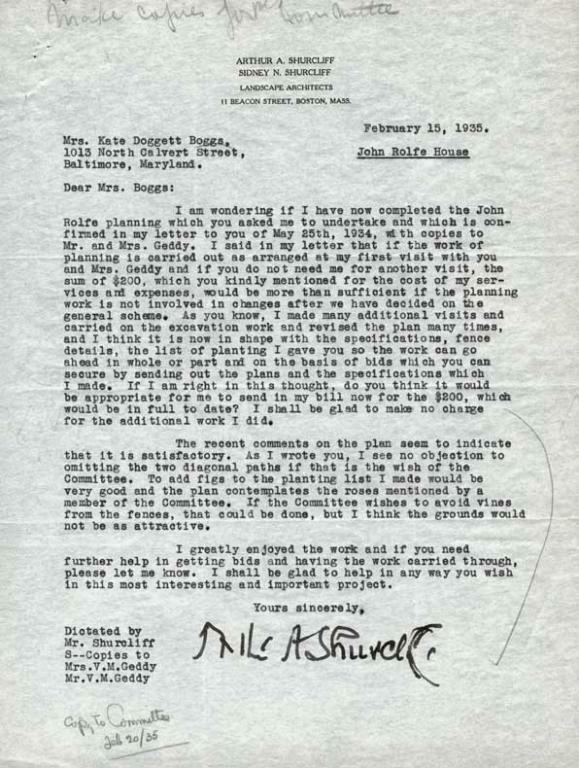 The revisions were undertaken by the APVA, and then twenty years later Ralph Griswold offered additional suggestions for enhancing the site. The images presented here record various stages of the property's landscape restoration. Since additional work has been supported by The Garden Club of Virginia at many properties, these images do not necessarily represent the current-day experience. Also, accession numbers reflect the year in which an image was received by the Virginia Historical Society, not the year in which it was taken. Walkway and front entrance to the Rolfe-Warren House. Slide, Rolfe Warren House, Smith's Fort Plantation, Surry, Va. 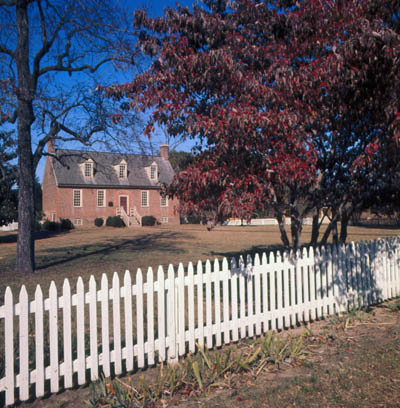 In the original restoration plans, a picket fence surrounded the house, with outbuildings at the rear corners. 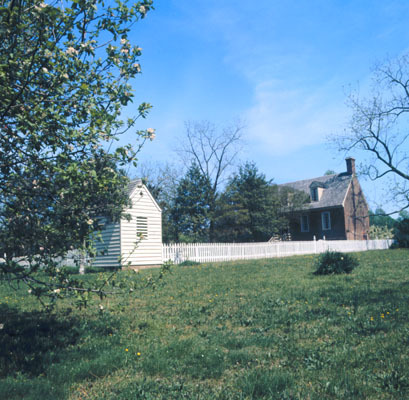 Slide, Gardens, Rolfe Warren House, Smith's Fort Plantation, Surry, Va.
Rear, or garden, entrance with boxwood planted during the second project, ca. 1956. A modern vista from the southwest showing the lawn and entranceway. Partial view of the rear garden looking toward the well (not part of the original restoration). This image of the well reveals some of the plantings added in the 1950s and later. Arthur Shurcliff's summary of findings from excavations undertaken in the summer and fall of 1934. Drawing, Rolfe Warren House, Smith's Fort Plantation, Surry, Va. Detail of excavations at the Smith's Fort Plantation site in fall 1934. 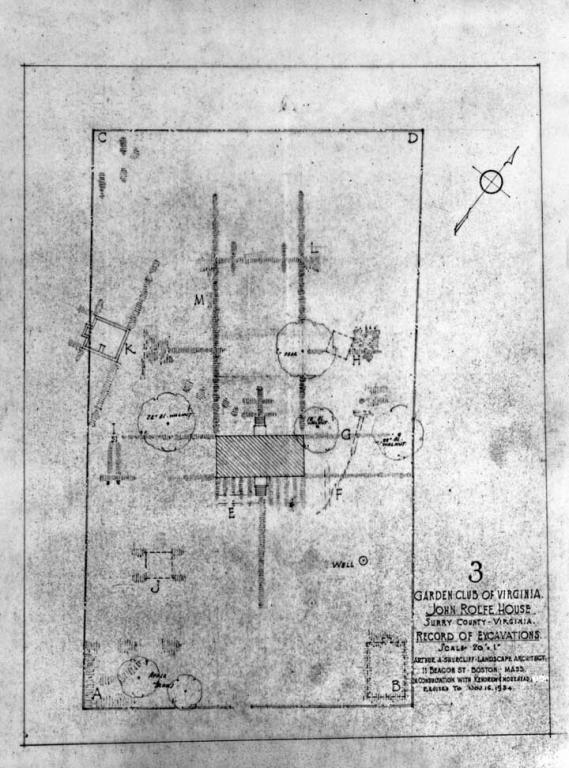 Initial proposed layout of the Smith's Fort site by Arthur Shurcliff, as detailed in his letter of June 12, 1934. 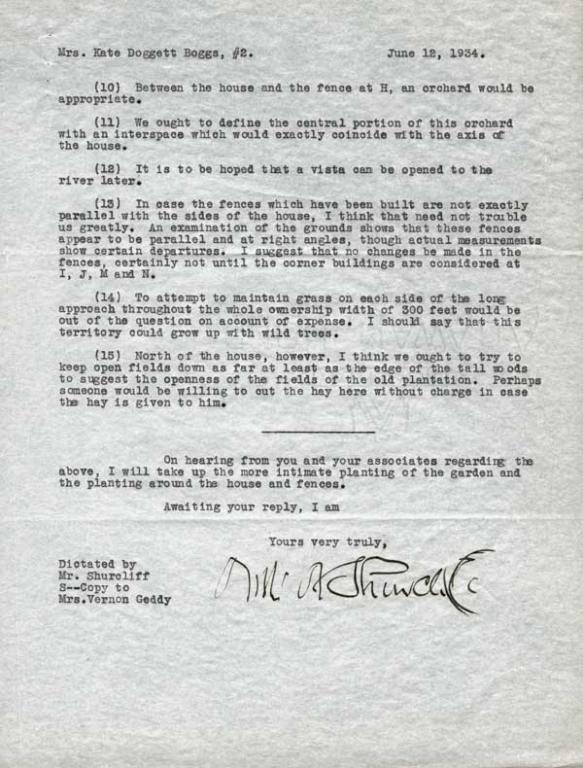 Letter from Arthur Shurcliff to Mrs. Katherine Boggs, president of The Garden Club of Virginia, June 12, 1934, laying out his initial proposals for a garden restoration (prior to the excavations). 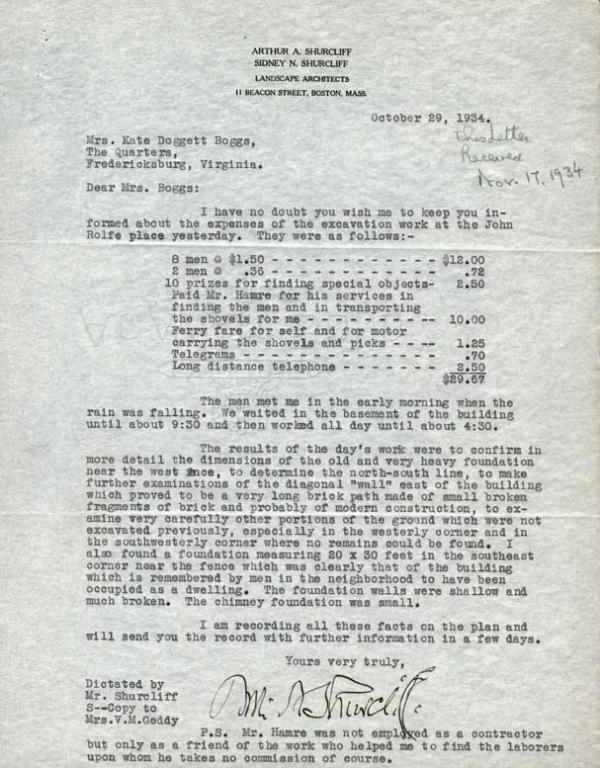 Letter, Rolfe Warren House, Smith's Fort Plantation, Surry, Va.
Letter of Shurcliff to Boggs, October 29, 1934, detailing nearing $30 spent on excavation work. 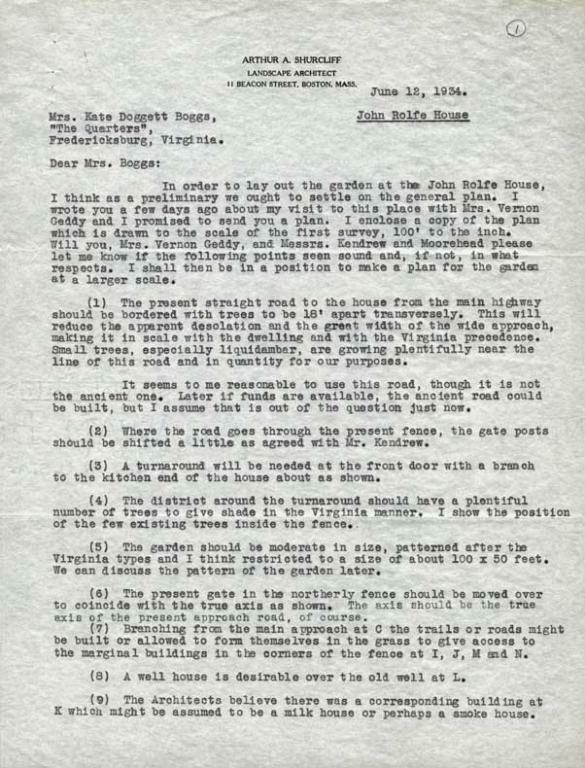 Document, Rolfe Warren House, Smith's Fort Plantation, Surry, Va.
Letter of Shurcliff to Boggs, February 15, 1935, reviewing the project and determining completion. 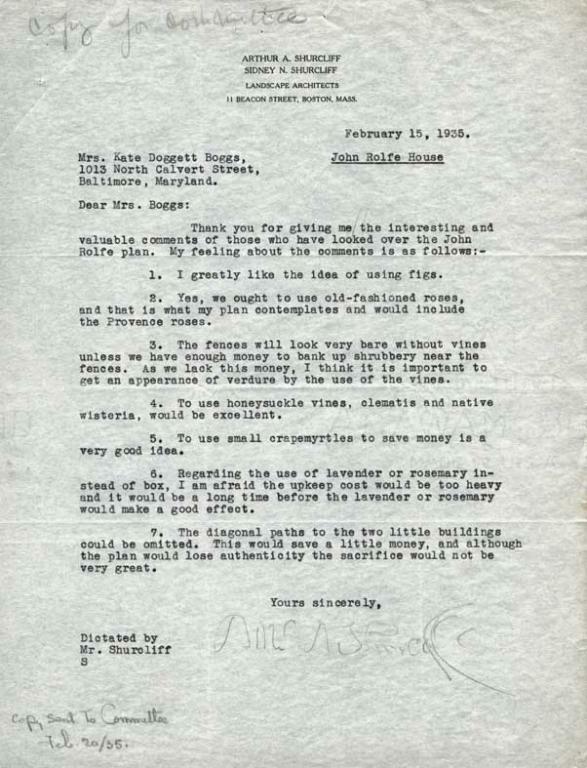 Letter of Shurcliff to Boggs, February 15, 1935, commenting on suggestions on the planting plan by members of The Garden Club of Virginia. 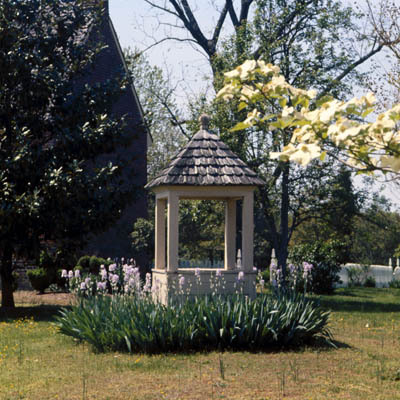 If you would like to browse The Garden Club of Virginia collection in the online catalog, click here.